a new bohemia: pom in the yard. Aren't they gorgeous? They are straight from the tree in our backyard. 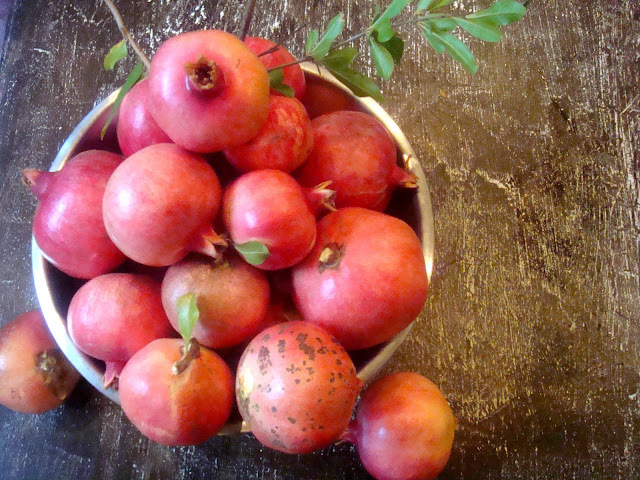 Last year at this time, the fruit was rather sour and the skins were splitting open. 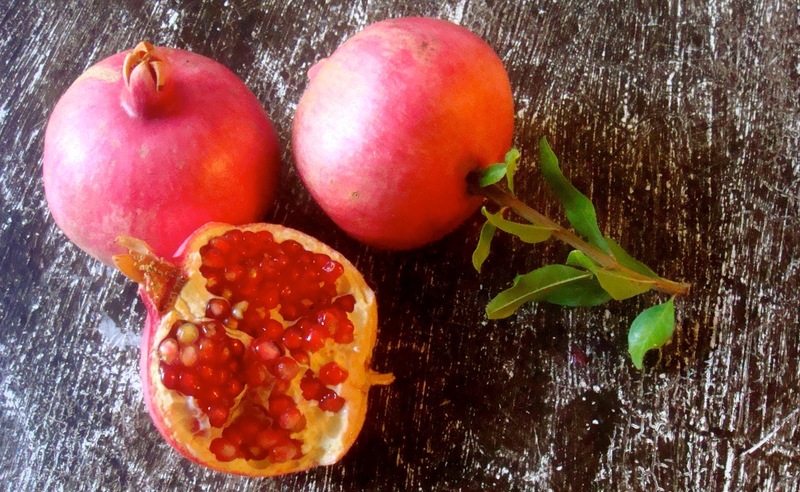 All of which made the pomegranates perfect for the birds to eat and not such a treat for human consumption. But, one year later, I have an almost two-year-old who loves to perch on a chair, grab a giant red globe and twist with all his might. He hangs (with a bit of help!) from the trees branches with his feet swaying a few inches above the ground, grunting as the fruit refuses to give. Until finally, the seed studded beauties give way and my son falls gently to the ground, tree branch ricocheting up into the sky and a giant pomegranate wrapped in his arms like an American football player clutching the precious football and running for a touchdown. He smiles and yells 'cut, cut, cut' and takes the fruit proudly to the kitchen.